Budget, size, blade type and adjustability are all important factors to consider when deciding on the best lawn mower for your garden. To help you have a better understanding of the significance of these factors and how to identify the differences, we’ve put together this quick guide. Rotary – Extremely versatile, the rotary lawn mower has blades that rotate horizontally, underneath the mower. They are able to cut longer and rougher grass than other types and can come in either electric, battery or petrol form. Hover – This type of lawn mower hovers above the ground either on a cushion of air or on an inflated tube. This makes it a perfect choice for mowing very uneven surfaces or unusually shaped lawns. However, due to their generally smaller clipping collection box, they are less well suited to large gardens. 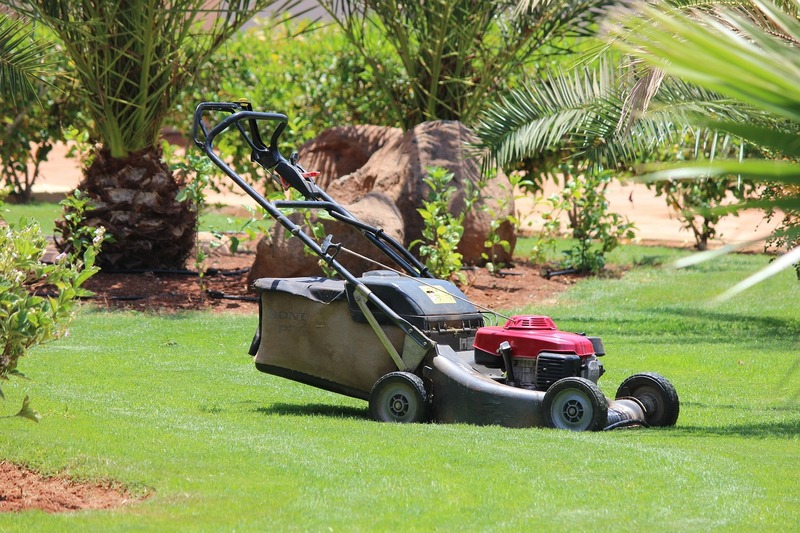 Cylinder – With multiple vertically rotating blades, Cylinder lawn mowers are best suited for flat lawns. One of the biggest benefits of Cylinder mowers is that they can be incredibly cheap, with some being hand powered, which also means they are very compact and easy to use. ‘Mulch’ mowers – Some lawnmowers have the feature of chop grass before dispensing it back out, ultimately smothering the grass. Mulch Mowers, on the other hand, cuts up the grass clippings finely before spraying them back on the lawn to feed it with nutrients. These fine shreddings do damage live grass and are a great choice if you do not have anywhere to dispose of your grass clippings. Electric – Nowadays most lawn mowers are powered by electricity, which is a great choice if you have a small or medium-sized garden. Electric mowers are generally cheaper than other types, though you will have to deal with a lot of cables. Petrol – Whilst they require more service and maintenance, petrol lawn mowers are ideally suited for large gardens and are more powerful and faster at cutting than other types. As with electric, some petrol mowers can be self-propelled, meaning you don’t need to push them, all you need to do is steer. Cordless Lawnmowers – Although a more expensive option than electric, cordless battery-powered lawn mowers are pretty much hassle-free. They don’t suffer the same restrictions electric wired mowers do and are more cost effective than petrol mowers. If you feel like you may not get much use from a purchased lawn mower a cheaper alternative is to hire a lawn mower. At Frank Key, we have two petrol options to choose from. The Viking Rotary Mower is a perfect mid sized option well suited to any lawn. Our Lawn Scarrifier is great for any lawn that requires a little more care, including the removal of dead grass. With tool hire, you don’t need to worry about a large upfront cost, just hire the lawn mower for as long as you need, at a reasonable price. Find out more about lawn mower hire. If you are in need of extra advice or have other enquires, be sure to contact us, as we are always happy to help. You can follow us on our Twitter page to keep updated with our latest news.